Are you tired of spending all day cleaning your home? What if you could get your weekends back? That’s Clean Maids is here to help automate your life and give you the gift of free time, which we all know you deserve! All you need to do is give us a call or book, it's that simple! We are proud to call Houston and surrounding areas our home! We are a community built on diligent work, doing the right thing, and being there for each other. We trust in these principles and they apply to our business. This compassionate approach enables us to deliver a high quality customer experience. Book a cleaning with That's Clean Maids today and change your life for the better with the best residential cleaning and maid service in Houston! We can all agree that house cleaning is thankless, never-ending work! Well, it's time for all that to stop. Design a cleaning package that best suits you and put cleaning professionals in charge of cleaning your home. That'c Clean Maids is a referral agency that you can trust to offer flat and hourly rates and allow you to cancel anytime! Plus, you don't need to sign a contract and you'll use the services of the industry's best. Cleaning windows? Scrubbing baseboards? Vacuuming carpets? They do it all! Customize your cleaning for a better home life! Katy is a great city! Great schools, great football, and a great waterpark. Being located so close to Houston makes getting out with friends and family on the weekends pretty easy until you realize the stack of chores you need to get done. Let us help automate the cleaning tasks in your home. We're sure you could use more free time to enjoy alone or with friends and family. No one wants to spend countless hours scrubbing, vacuuming, and mopping at the end of a busy week. You love living in Katy, TX. You enjoy the warmth of a welcoming environment and like seeing your smiling neighbors. However, sticking to your busy schedule is often a daunting challenge and you are struggling to find time to focus on yourself and your needs. When you have an extra hour in your day, you want to treat yourself and that’s when you are faced with a tough question:”Should I clean or have a few moments to myself?” You decide to let go and that’s how all the clutter starts piling up. Also available: tile and grout cleaning services Cypress, tile and grout cleaning services Spring, maid cleaning services Tomball and tile and grout cleaning services in The Woodlands, areas. Perhaps your home has been neglected for some time now, but under our watch rest assured it won’t happen again! That’s Clean Maids will take care of your home so you can take care of yourself! 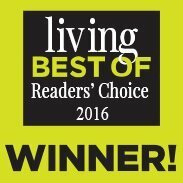 We do it by matching you with those who offer top house cleaning services that Katy TX residents can rely on. Now you can spend the whole day with your family at Typhoon Texas Waterpark or have an afternoon picnic in the beautiful Mary Jo Peckham Park. Your local cleaners are ready to take over any time! Whether you need a one-time clean or recurring house cleaning services in Katy TX, That’s Clean Maids is your go-to company! Schedule your cleaning in 60 seconds and get an instant pricing quote. Enjoy our no-hassle online booking, transparent flat rates, and cash-free payment but keep in mind that’s just the beginning! 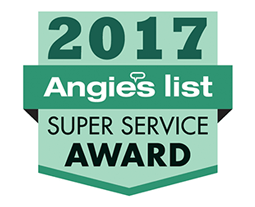 We've made sure to find the most efficient and reliable cleaners Katy, TX has to offer. We'll dispatch them to you home and they'll show up at your doorstep fully equipped and eager to wow you by making your home sparkling clean. 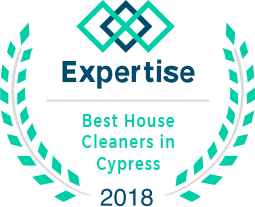 Available Monday – Saturday, from 8 a.m. to 7 p.m., they are prepared to give your home a makeover by providing unmatched house cleaning services Katy, TX residents love! Basic or deep cleaning? 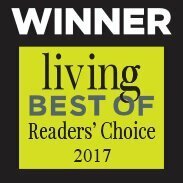 Move in/out cleaning services in Katy, TX? The best tile and grout cleaning services in the Katy, TX area? Yes, yes, and yes! That’s Clean Maids matches you with seasoned and insured professionals who offer the most comprehensive house cleaning services Katy, TX can provide! What’s more, Katy cleaning services are flexible and fully customizable! The aim is to meet all your special requests and cleaning needs and deliver the cleaning you're bound to love – every time! We are confident that you will be amazed by how dedicated, personable and professional your Katy cleaners are. If anything is under par, just let us know and the team will come back to re-clean any items or area you are not absolutely satisfied with. Choose dependable, hard-working cleaners Katy TX residents put their trust in – for a reason! All our clients know that the cleaning professionals we send their way will go the extra mile to meet and exceed their expectations. With our 100% satisfaction guarantee we want to show you how much we appreciate your trust and what happiness means to us. We work hard to resolve all complaints within 48 hours, giving you unparalleled customer service! We team up only with the best Katy cleaners who will deliver consistent, top-notch house cleaning services Katy TX homeowners can rely on. All the cleaning professionals we work with are insured. They have also been thoroughly screened, reference- and background-checked. The evaluation of their expertise and performance doesn’t end there. Katy cleaners also get rated after each cleaning – based on your feedback. Do you happen to need a reliable maid service but you don’t live in Katy? If you are looking for cleaning services in Tomball, TX, house cleaning in Missouri City, TX, one-time or recurring cleaning in Magnolia, TX, feel free to turn to That’s Clean Maids for help! We service Cypress, TX, Tomball, TX and other surrounding areas, and we love making our neighbors happy! Let us connect you with the best cleaners in the industry who will keep your home tidy and clean so you can focus on your life! We make it easy for you to get the help you need in order to keep your place clean. All cleaners will have passed vigorous screening and background checks. They are also insured for your peace of mind. Let us take care of the cleaning so you can focus on more important things. We make payments easy and painless. Rate each job via automated email. Make sure to tell us what you thought about the whole experience! Happy customers are our #1 priority. We are a quick phone call or email away. All customer get automated reminders regarding the cleaning service.